Since NCL already for along time have had their own thread, so should also HAL have. 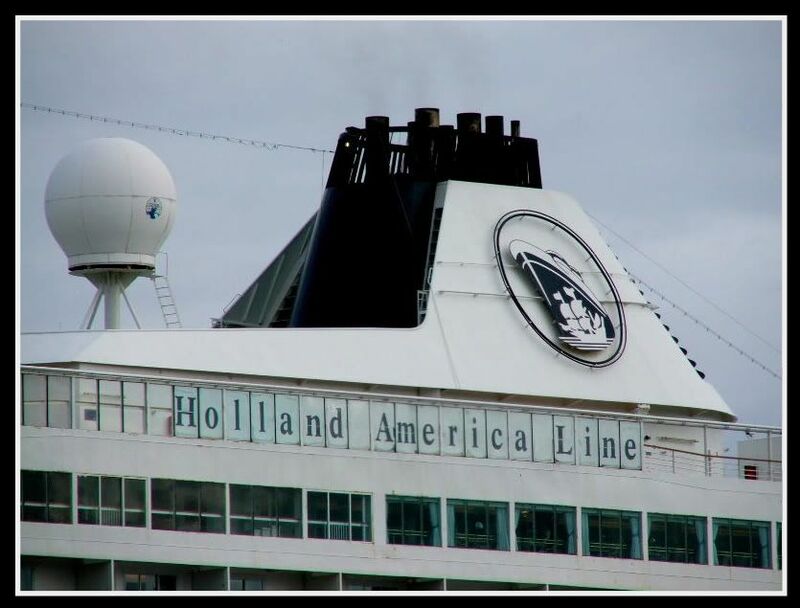 This is the thread where we can share images, stories and things about Holland America Lines. Interesting images of the HAL ships! They do have nice color schemes to their ships but I'm not so sure I like the similar style to each ship. 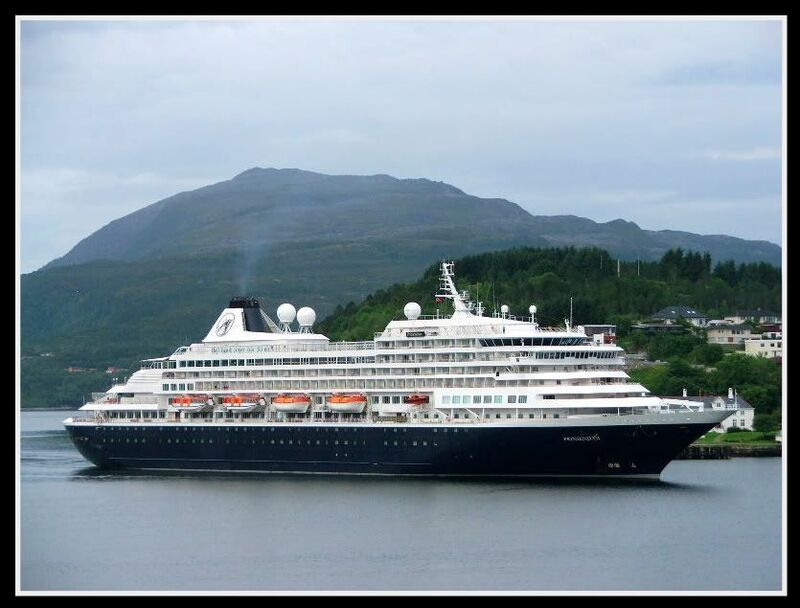 Eurodam is certainly a Vista-Class ships: with many sisters in many different companies: Cunard and NCL and Costa. 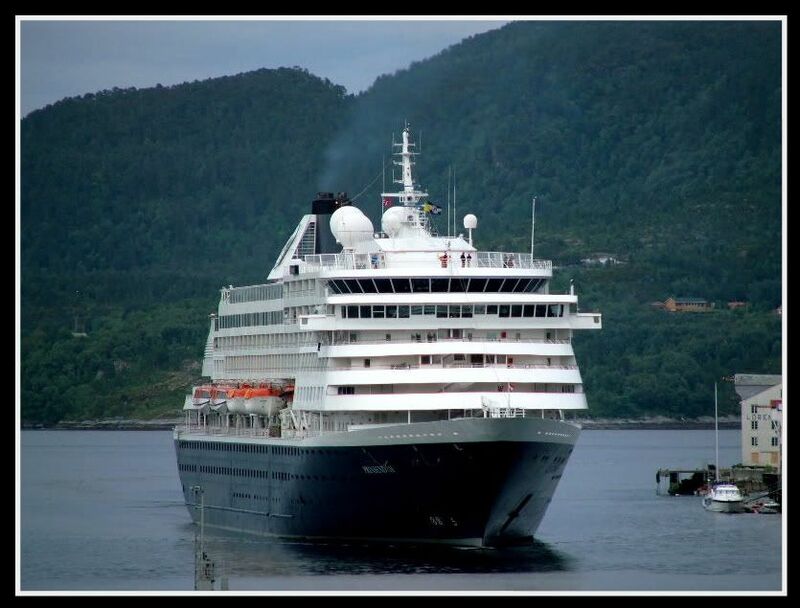 I really like the bow of Prinsendam. 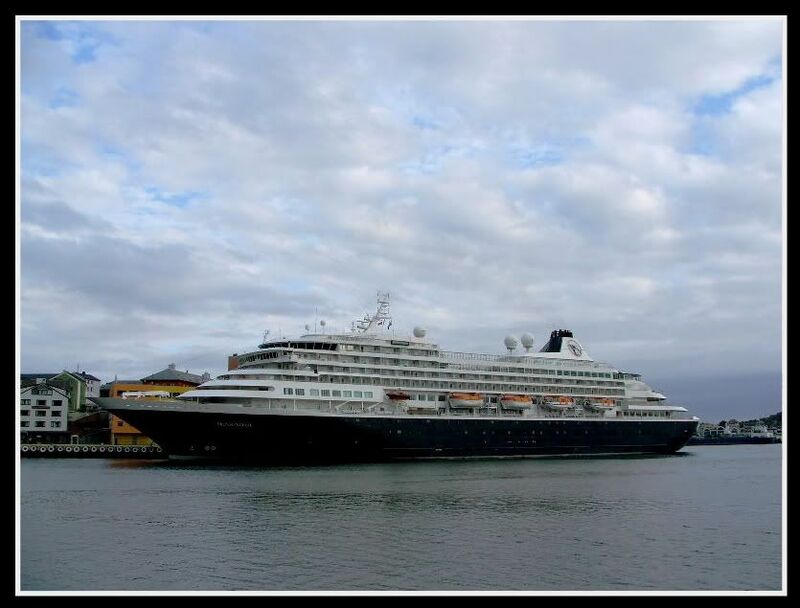 There is just a bit more... fineness (sharper point) that sets her apart from most other modern cruise ships. 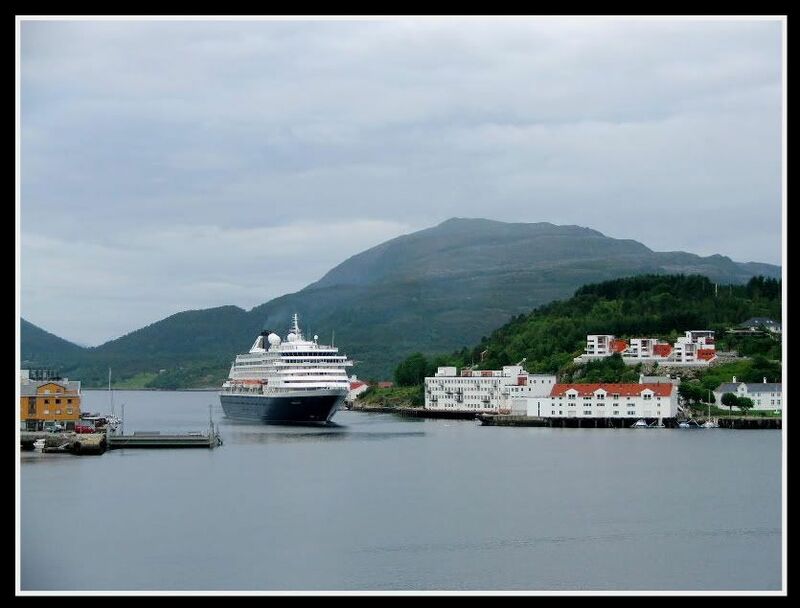 So far I have 11 days on Maasdam and 15 days on Westerdam. I must say I liked the older Maasdam much better. I am not a fan of the modern, larger ships. 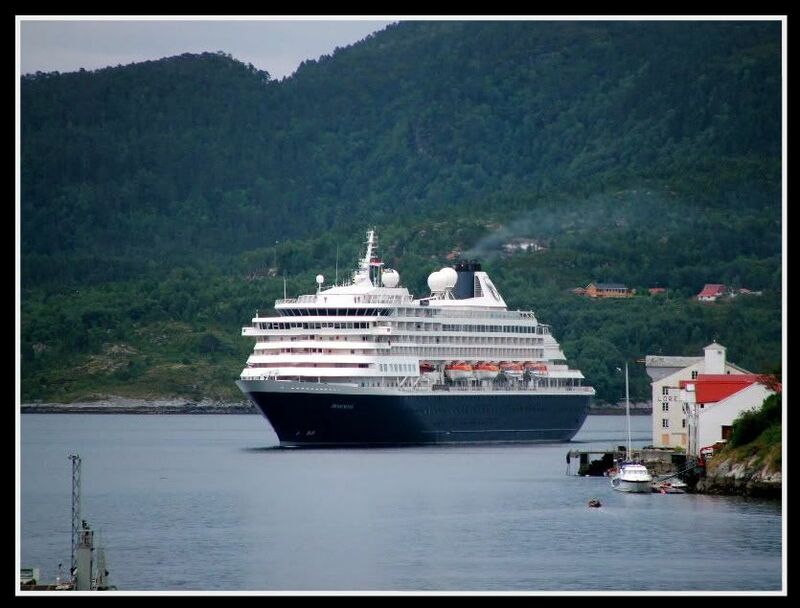 Today we have "Prinsendam" in harbour here in Kristiansund. Not sure wether I should post here or in the cruiseships in norwegian waters-thread, but as you see......, I ended up here. 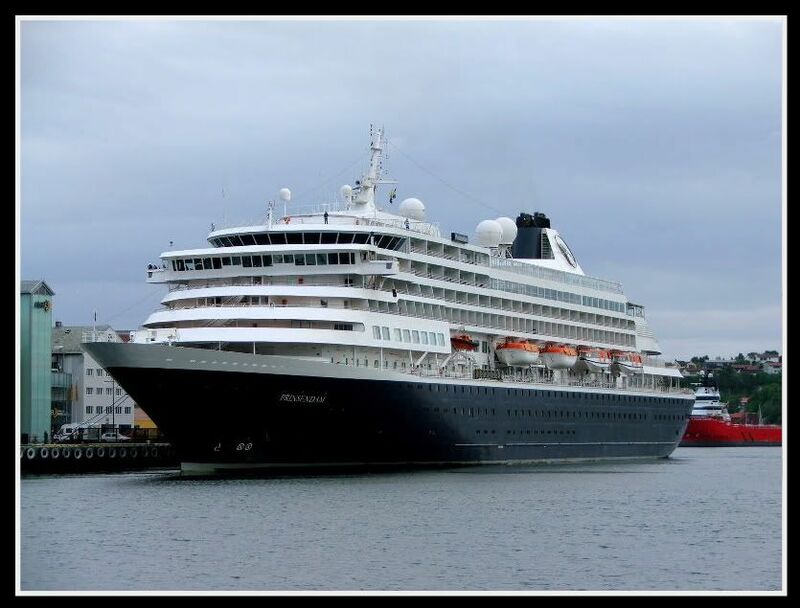 My alarmclock rang at 6:00 AM this morning as I calculated yesterday that the ship would sail into Kristiansund at 6:30 AM. 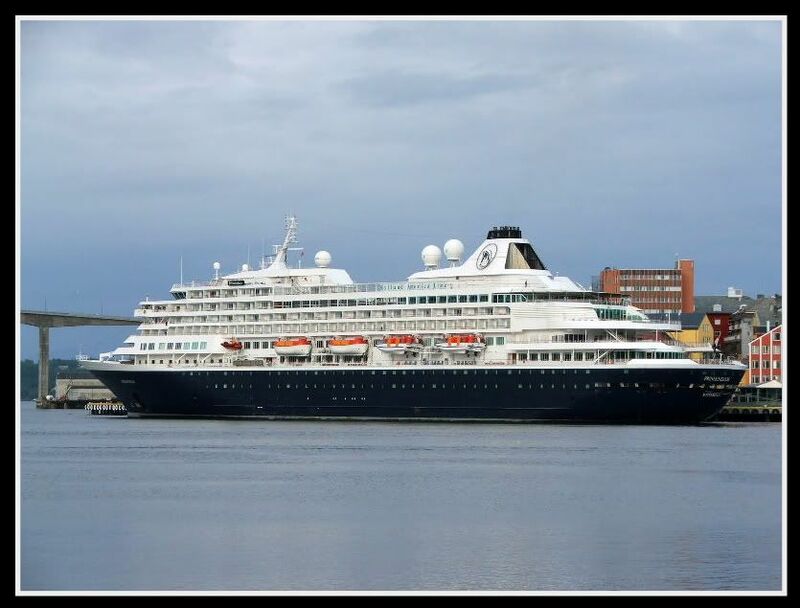 Just remembered: This vessel visited the harbour together with "Crystal Harmony" back in 1992, as R V Sun. Great photographs! 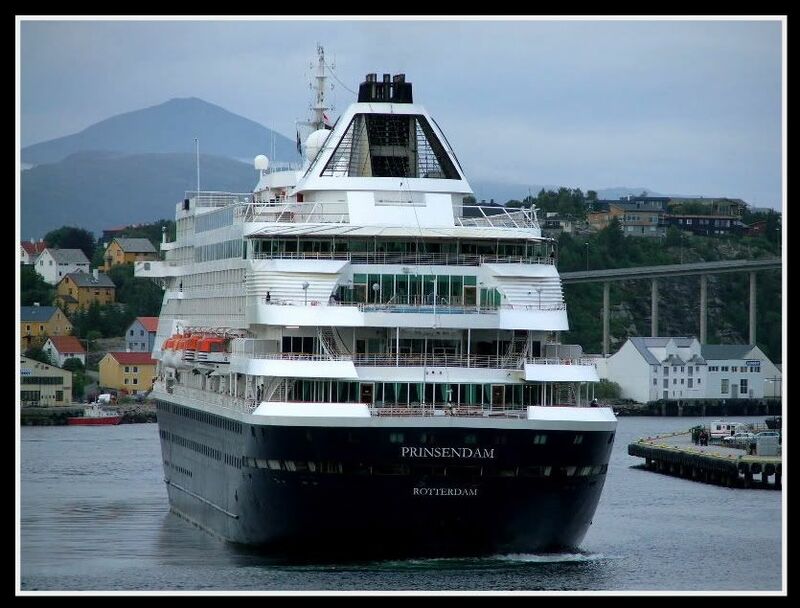 Prinsendam has always been one of my favorite "modern" cruise ships. 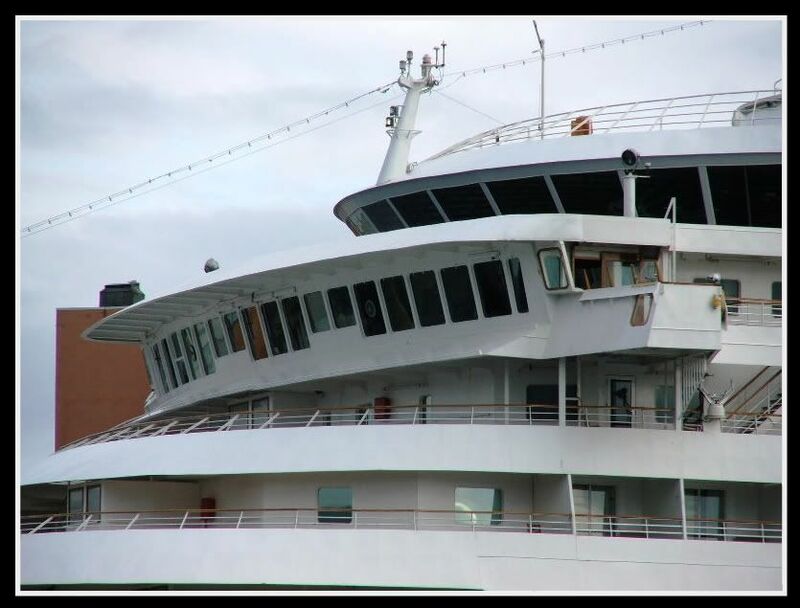 She still has flat side and balconies like any modern cruise ship, but angle of the decks at the bow and stern keep very nice lines. A ship I will cruise someday. 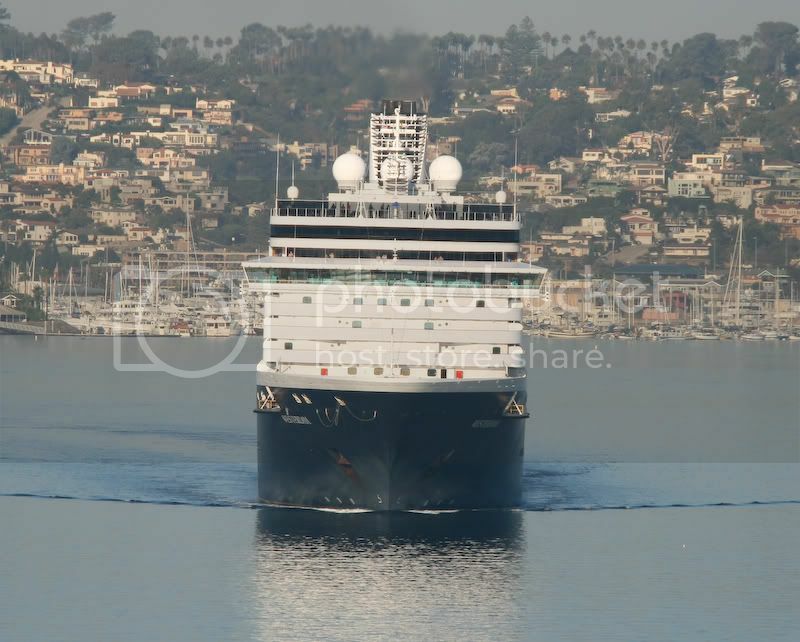 Here is a re-post of my Westerdam pictures taken last year in San Diego, California, USA. 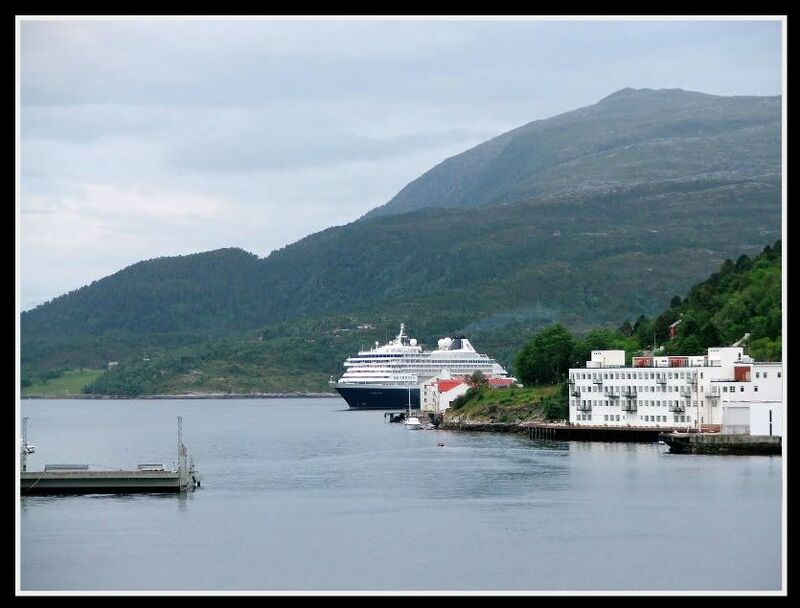 I've often referred to cruiseships as "shoeboxes" (because they really looks like that! ), but the ex. Royal Viking Sea, -Sun, -Star and -Sky looks very much like good old cruise ships as cruise ships should look. And the best ting is that they look just as good today, though sailing under different flags and ownership. "Black Watch" (ex. RV Star) sailed pass us on the 8. 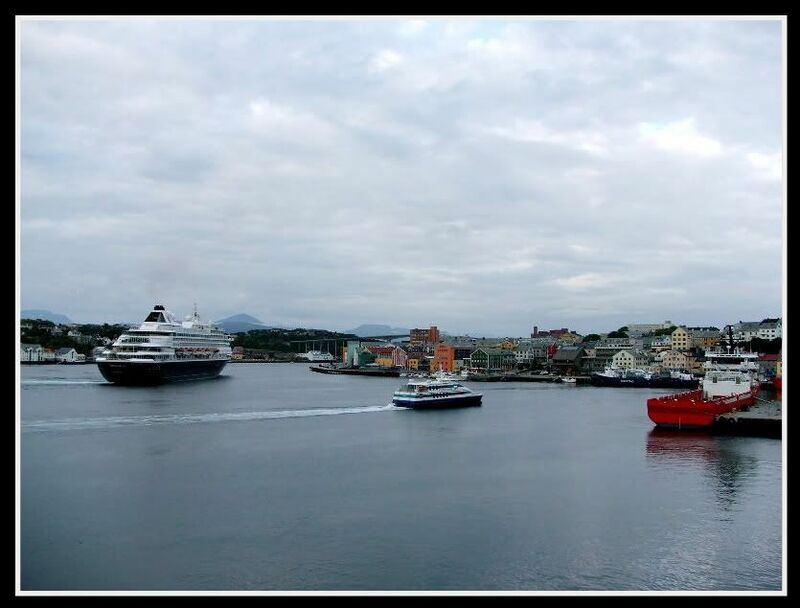 July even though she was suppose to have a stop in Kristiansund. Reason: She encountered heavy weather out in the North Sea, so much so she was over the limit delayed to our part of the country. Therefore I look forward to 23. August when "Albatros" is due. 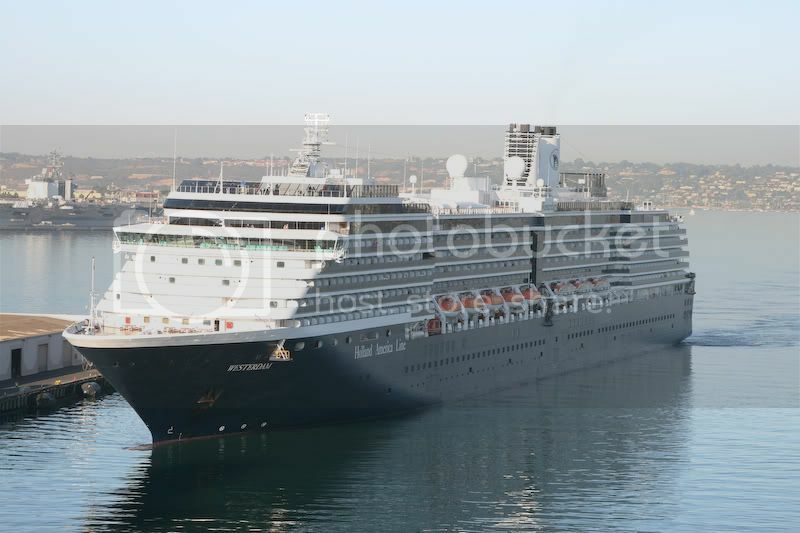 So looking forward to some great photos of the best ship in the world!!! 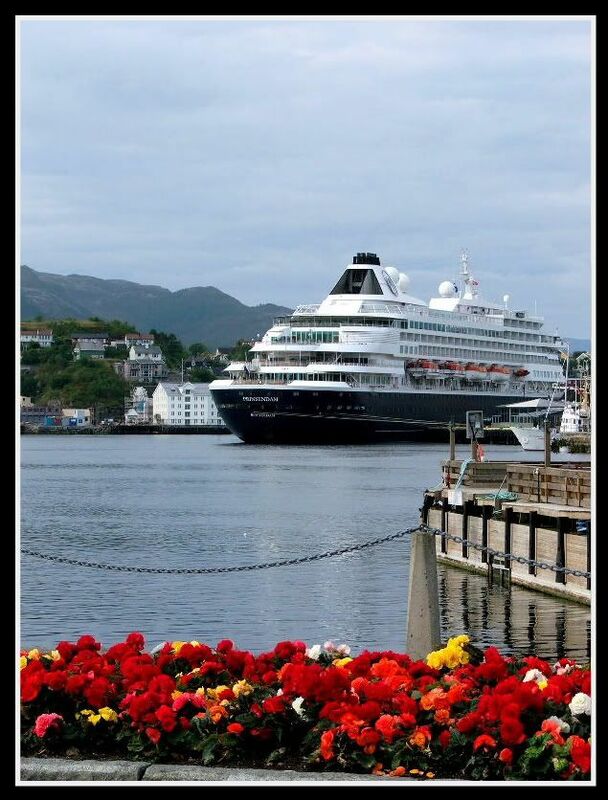 Love the photo with the red flowers in front....wonderful work of art. Yeah, the "flower-picture" was a new spot for me. 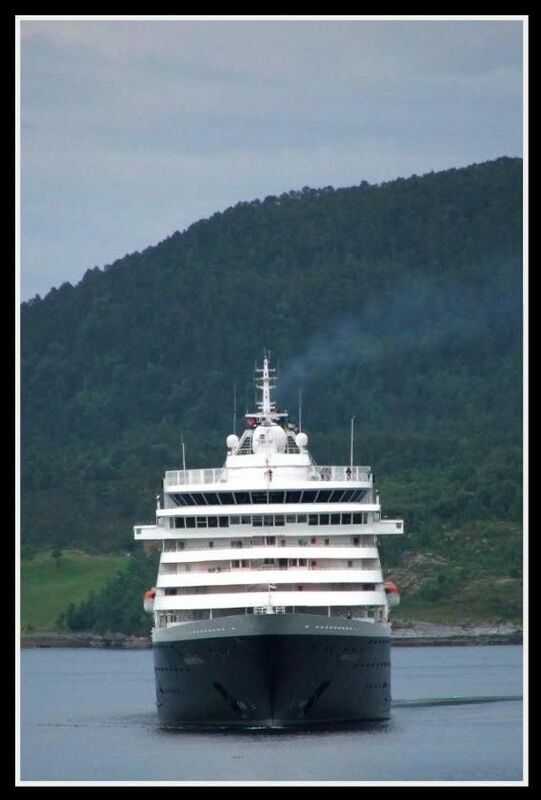 That would've been impossible if the catamaran from Trondheim had arrived. (The one coming in pictured in image #8 just left for the return to Trondheim). Me too look forward to the 23. August. I really hope for nice weather so that it's possible to get the early morning light again. 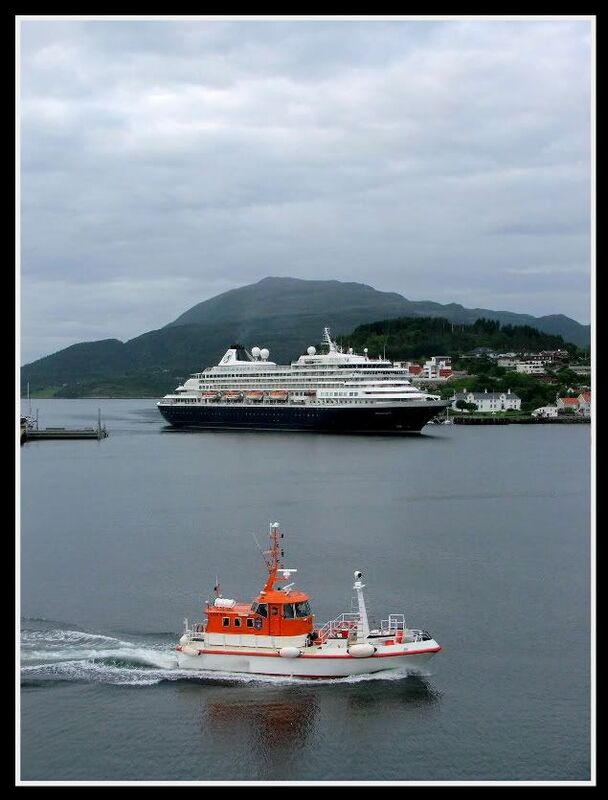 And the meeting in 1992; I was there... on Royal Viking Sun, as a young apprentice officer, when Crystal Harmony and her Captain Reidulf Maalen took her in on an un-announced visit during the "cruise days" of the city.... what an experience that meeting was! Capt. 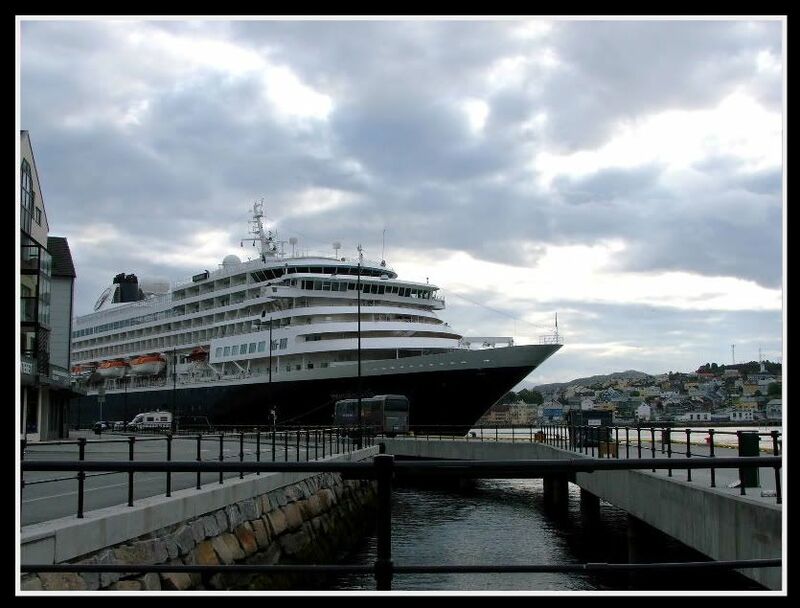 Reidulf Maalen wrote in a comment at the web-pages of our local paper concerning the resent visit of "Prinsendam" that he went three years at school here in Kristiansund and surely he wrote about the visit in 1992. I notice you tell us here that the visit of CH was un-announced. I'm sure you've told us some place before, but me not able to find it; can you please tell us (me) again...., why her visit was un-announced.....? (Would be more than happy with any short version). 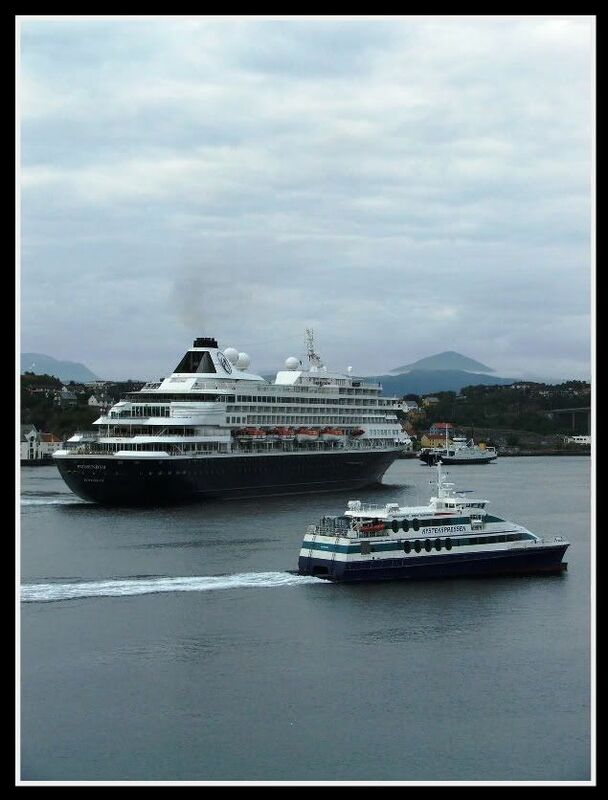 CH was on her way south from a North Cape cruise and my ship, the RVS, was on the way northwards to North Cape. The captain of both ships are two of the very finest Captains you will ever be able to sail with, as a crew or as a guest, and they are also very good friends of the same kind: believing in their crew and working with the crew as a family. When CH came south along the coast, Captain of CH decided to show his ship to his friend, which were on the RVS. At the time, the city was also celebrating the cruise days (Cruise Dagan) and we were due to sail at 5PM... about the same time as CH would be outside your city. So with all arrangements and permissions sorted out, when we departed, CH had already entered the harbour and with thousands of spectators lining the docks, the ships sniffed each other and saluted each other in a spectacular show before RV Sun left the scene. After we had sailed, CH docked for a few hours before continuing their journey. 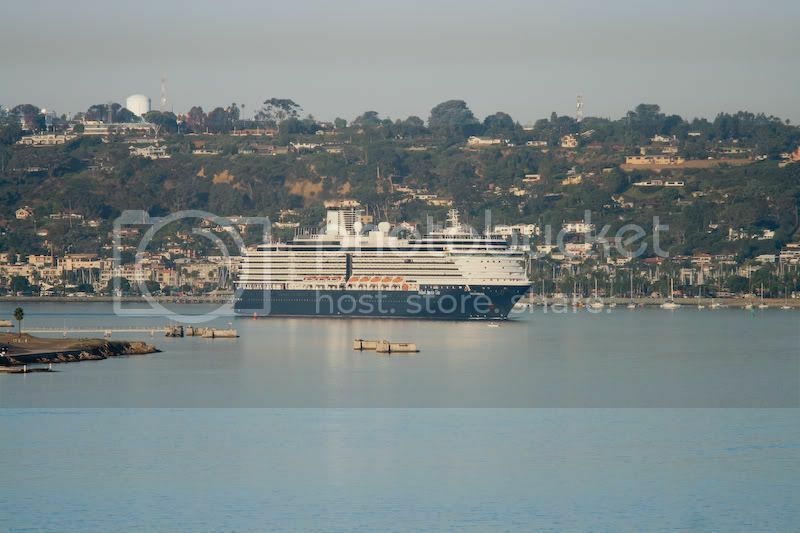 The meeting was photographed from the air by Sir Harvey Lloyd, a world class and world famous cruise ship photographer. The prints were sold on board to the crew, I think for 25US$ each afterwards... I have 4 or 6 of those large prints... fantastic photographic works!